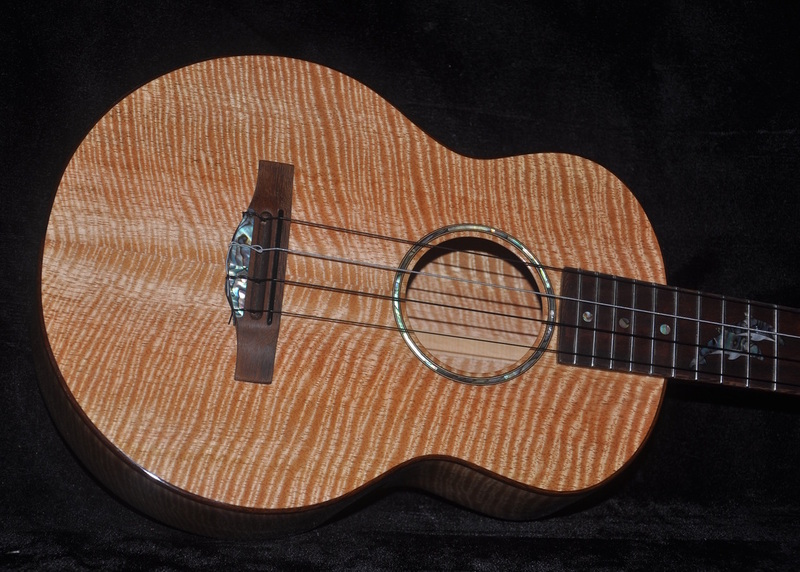 This is a recently completed tenor size curly mango ukulele. Body is curly mango with pheasant wood binding . The bridge is also pheasant wood. 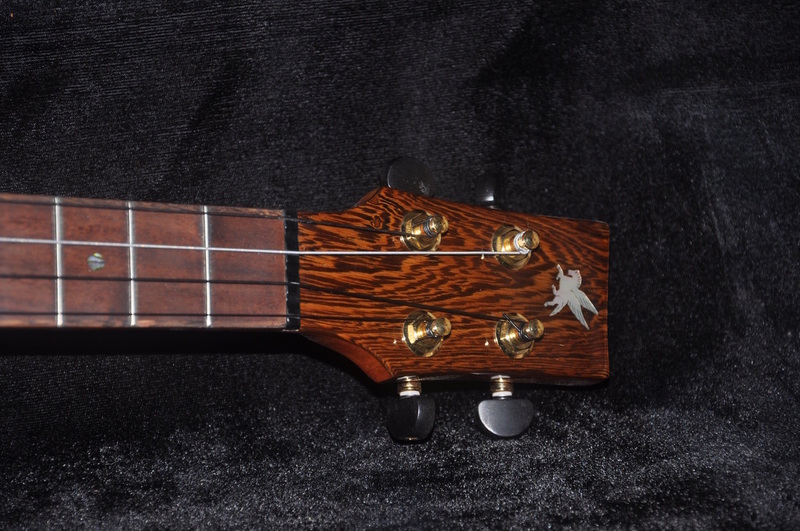 The fretboard is milo, with pheasant wood binding. Neck is locally grown toon wood with an internal carbon fiber reinforcement rod. 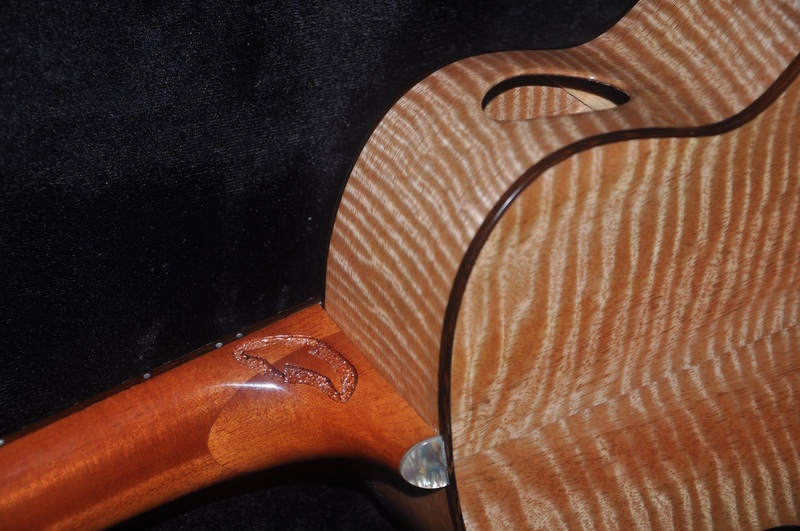 Dolphins hand carved on both sides of the neck heel. 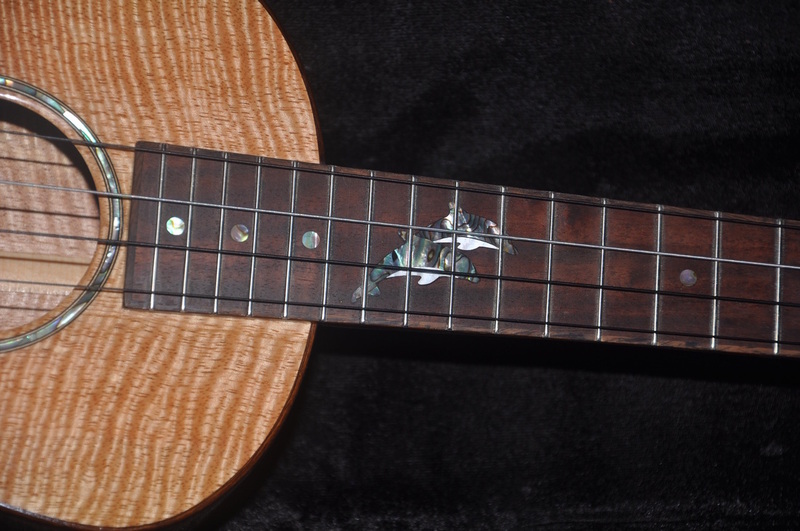 Mother-of-pearl and paua shell dolphins on fretboard and mother-of-pearl logo on headstock. Paua shell rosette. I hand cut all my shell inlay from solid shell. Sound port on upper bout. Grover gold plated tuners with ebony buttons. Easy to play. Good volume and clear sound. Hardshell Case. Price includes shipping anywhere in Japan or the U.S. by Priority Mail. Hawaii State residents will have State sales tax added to final value. Enjoy your music!